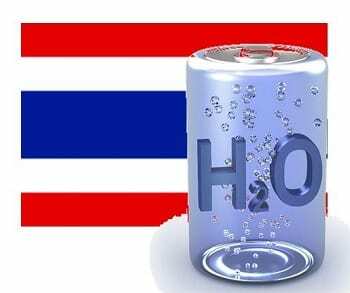 AFC Energy, a prominent developer of hydrogen fuel cells, will be working with Bangkok Industrial Gas in order to develop a new fuel cell system. The development of this system will take place over three stages and will be the first time AFC Energy has developed such a system in Thailand. The two companies will evaluate viable deployment strategies for the fuel cell system in the coming months, hoping to gather some insight on the market demands concerning hydrogen fuel and clean energy. The hydrogen that the fuel cell system will use will be provided by Bangkok Industrial Gas. This hydrogen comes from various projects that produce the gas as a byproduct of their normal operations. The gas will be fed into existing pipelines, where it can be transported with relative ease. AFC Energy’s fuel cells will use the hydrogen to produce electrical power. The fuel cell system that the company is developing is expected to have an energy output of 10 megawatts. Portions of this capacity will be activated over the coming years. AFC Energy is not only making fuel cells in Thailand, of course. The company recently began development on a 50 megawatt fuel cell system that will be used in South Korea. This energy system, which is part of a power plant, may have its capacity bolstered to 1 gigawatt by the end of 2020. Fuel cells are becoming more popular in the Asian market, where several countries are looking to clean technology for the sake of economic growth and to cut down on emissions. Hydrogen fuel cells have managed to establish a strong position in the auto industry, but they have yet to become popular beyond certain industrial sectors. Using these energy systems as a primary form of power, an alternative to coal and oil, is often considered expensive, but a growing number of countries are beginning to use these energy systems to power homes and businesses.